April 8 - May 28, 2016. Bischoff Projects Frankfurt/M. Bischoff Projects is pleased to announce a solo show of new paintings by Haley Mellin. This exhibition marks Mellin’s first show with the gallery and her first solo exhibition in Europe. For Mellin, painting is a method of extending her appreciation for certain images, and for finding a space to work through her thoughts. After years of painting in a realist approach, Mellin changes to freehand painting in this exhibition. This shift is meant to bring more immediacy to her practice and to document reality rather than to depict it. Mellin often spends months or years on a painting. The historical value of oil as a medium is referenced in her focus on how painting both stills and documents time. One painting, “Untitled Grau”, is sourced from a high resolution file which she purchased from Gerhard Richter’s studio with the intent of using it for a lecture. She spent a year trying to repaint it, and in the end made a digital print of the image instead. Sometimes she works the image in many different ways until she finds the right approach. In “Easter Painting,” she references the reflective surfaces of Gerhard Richter’s “Eight Gray” and the act of reflecting on oneself while looking at painting. The painting was done freehand, outside. The show continually switches between digital printing, and painting. 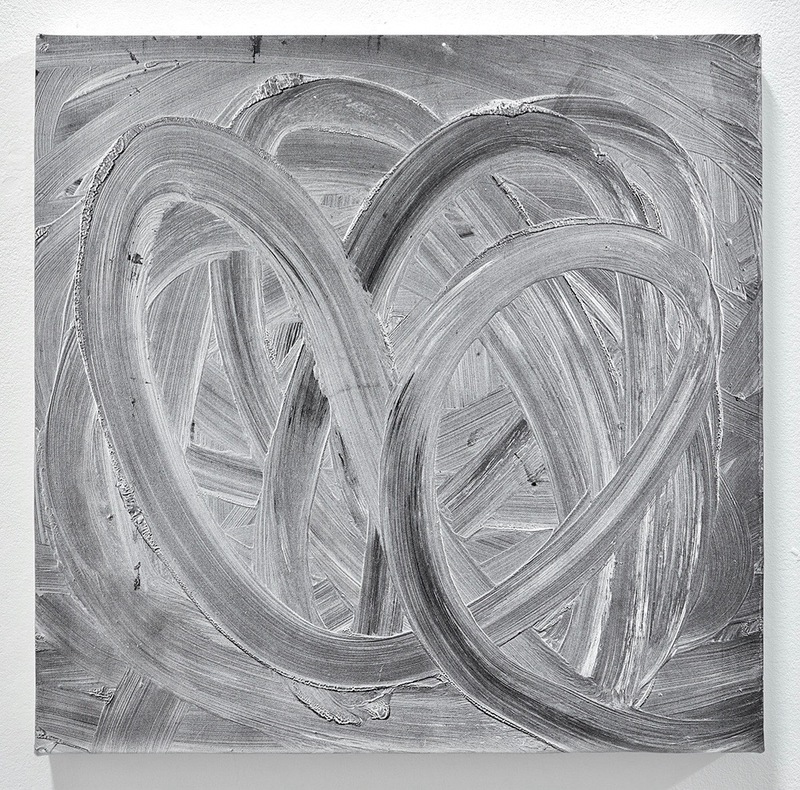 To Mellin, these new grey paintings share similar aims to her white noise pieces. As spaces without added pictorial content, they promote slower looking and refer to the lineage of painting as a place of personal reflection. These works are, at their essence, not the accumulation of references but the product of reaching the end of a referential supply. For all other information please contact the gallery at info@bischoffprojects.com or at +49 (0)178 924 32 50.